Seven Gifting Scheme Women Charged with Felonies — Millions More at Large? A Michigan newspaper reports that “seven Newaygo County women have been arraigned… on felony charges in connection with a pyramid scheme targeting women.” The article states that the women are facing charges of pyramid chain promotions, which carries up to a seven-year sentence and a $10,000 fine. These are not necessarily ringleaders, it reports. Each one participated in a different part of the pyramid, unrelated to each other. In short, they are just one of many, many others. The article continues, “Michigan State Police … said scammers, working under names such as the Women Integrity Group, invite women to give $5,000 cash, with the potential of gaining $40,000.” It then includes an appeal from the police for citizens to come forward and, effectively, inform on friends or neighbors who might be involved in the scheme, which is apparently widespread in this area of Michigan. For the last 8 years, pyramids of any type have not been prosecuted to any significant extent in the USA or Canada. When the Bernard Madoff Ponzi scheme collapsed (it was never prosecuted while it operated, despite repeated whistleblower warnings) the police and media began to suddenly focus on “investor” pyramids on Wall Street. Consumer pyramids schemes on Main Street, however, were allowed to run wild. They have vastly increased in number and size. To get a sense of how mainstream schemes like the one in Michigan are, just Google “Gifting Clubs”. There are over 1.4 million entries! Googling “Gifting Clubs” and “legal” yields 1,500 sites, many of them aggressive and sophisticated arguments for the legitimacy of these blatant frauds. As an example, see http://www.giftingislegal.org/. Meanwhile, the police in Michigan have seemingly awakened from a long slumber and have have rounded up 8 ordinary women, not ringleaders, and charged them with crimes that could put them in jail, and strip of the voting rights, among other disgraces. The realities of the gifting scheme epidemic renders these arrests absurd and misdirected. 1. Gifting schemes are not recent or isolated incidents, as the Michigan arrests would seem to indicate. The police don”t need “informers.” The schemes are not in hiding. They are widely advertised. And perhaps millions of people are in them! 2. If these scapegoated women are felons, then there are perhaps a million other such felons at large. Gifting schemes are hyped and defended in blogs and Internet articles that are widely read on the Internet. In Texas, several years ago, a bill was introduced in the state legislature to officially legalize them (it never got out of committee). Gifting schemes are operating in nearly every state, and many other countries (they apparently were invented in Canada or in the USA or both) and the police have been not only negligent, in many places, the police themselves are participating! After all, police officers are ordinary Americans too, and it’s the Average Joes who are participating, encouraged by the apparent legality of these schemes, based on bogus claims of legality by the promoters and the near total absence of prosecutions by the authorities. Why are people joining the schemes? 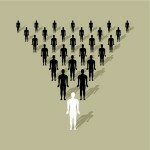 Pyramid schemes are replacing hope for real jobs or even valid returns on real investments. This degradation and corruption are largely the result of government support in the form of negligent or even helpful regulators.